From Monday 25 February all children's centre groups delivered at Conway Court Children's Centre will be running as per the current activity diary. These centres offer services for families/carers with children under 5 years to all areas in West Hove. The Sure Start Children's Centre team, based in Conway Court Children's Centre, is made up of Health Visitors, Early Years Educators, Community Nursery Nurses, Volunteer Skills Development Coordinator and Group Support Workers. The team works with families, individuals and groups, in the home and in the Centre. From Monday 25 February all children's centre groups delivered at Conway Court Children's Centre wil be running as per the current activity diary. Some of these are drop-in sessions and others are by appointment or referral. Due to staff changes some groups have changed time or day from April. View our Conway Court and West Hove Children's Centre activity diary from March 2019 (PDF 132KB). 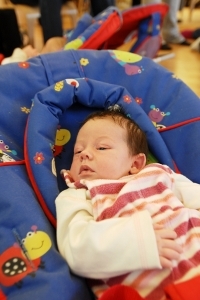 Health Visitors hold drop-in Healthy Child Clinics for children under 5. The Tuesday clinic at West Hove Gateway is closed for the school holidays. The clinic's normal opening hours are 9.30am to 10.30am. Conway Court Children’s Centre works in Partnership with Honeycroft Nursery. The centre has an Advisory Group that supports and guides the services offered. Local parents are involved in these meetings; please contact the Children's Centre Manager or Volunteer Skills Development Coordinator for details. Volunteer opportunities are available. Please contact the Children's Centre Manager or Volunteer and Skills Development Coordinator at the Centre.